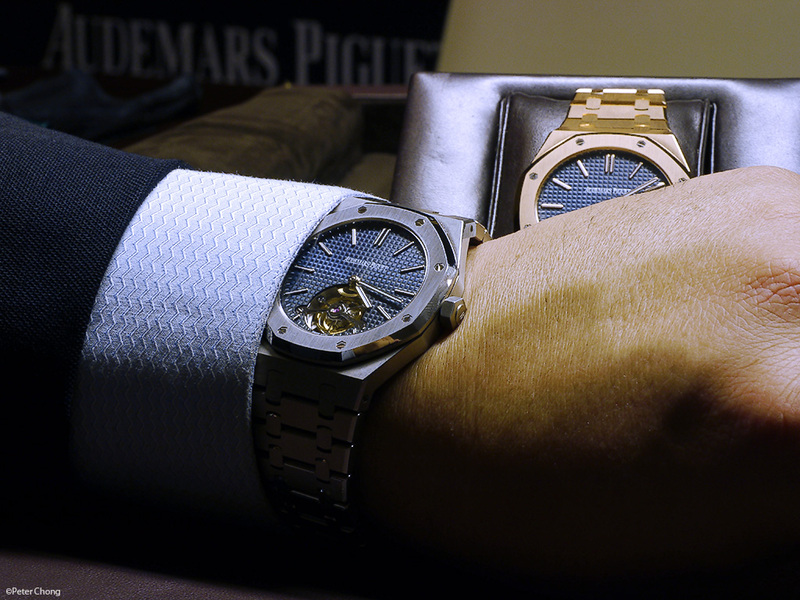 Audemars Piguet celebrates the 40th Anniversary of the Royal Oak with beautiful re-issues. 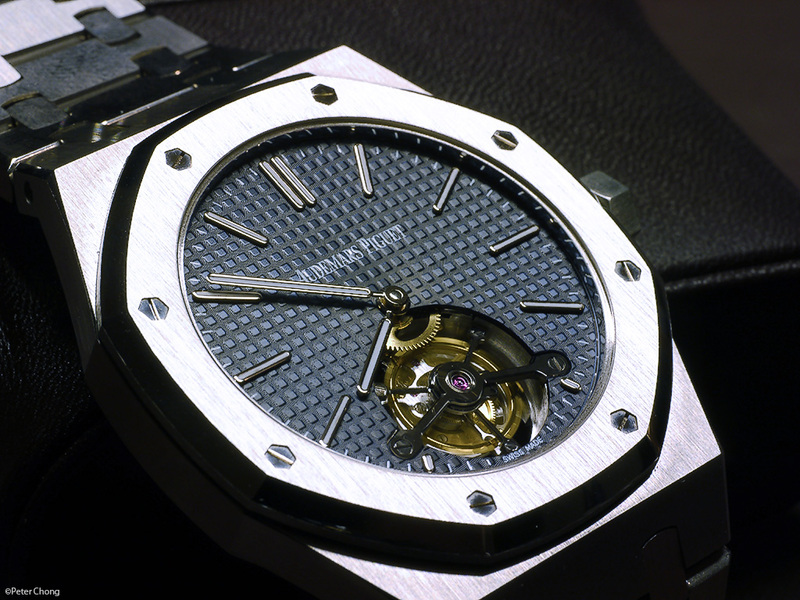 Has it been 40 years since Gerald Genta had this brilliant idea of putting a octagonal bezel in a stylized tonneau case? Indeed it has been, and yet, the Royal Oak looks as fresh today as it did in 1972. 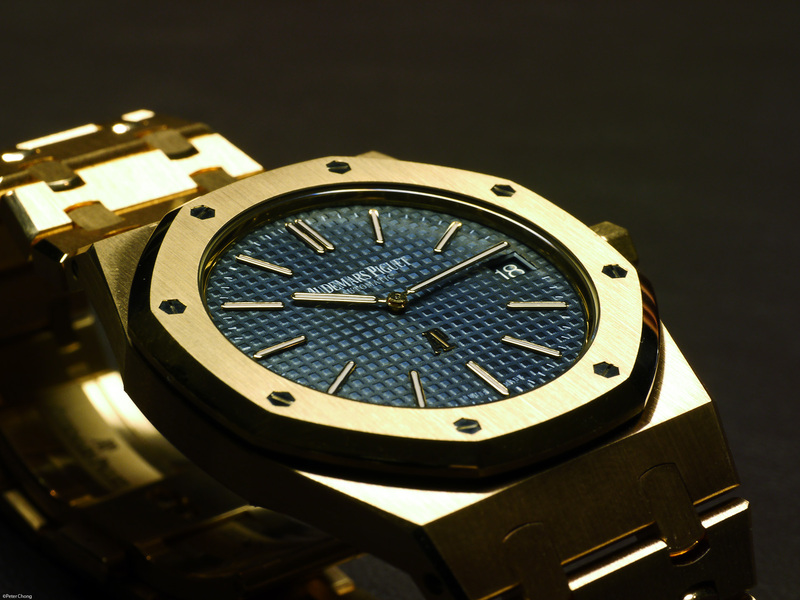 I will mainly cover the Royal Oak reissue in this insatallment, to celebrate the return to elegance of the Royal Oak. The proportions are now returned to perfect, returned to the original's 39mm, and houses an automatic movement (C.2121). The hour markers lengthened so that they are more elegant. But the biggest improvement, in my opinion, is the new dial. Now, like it was 40 years ago, it is done on a hand turned rose engine. The dial is now remarkable. The Grande Tapisserie pattern now looking more refined, and crisp. Beautiful and incredible as the dial may be, AP made an Anniversary version, with a glass dial, and skeletonizedultra thin movement. Though looking technically brilliant, I am not sure I like this treatment more than the regular Jumbo Royal Oak shown above. 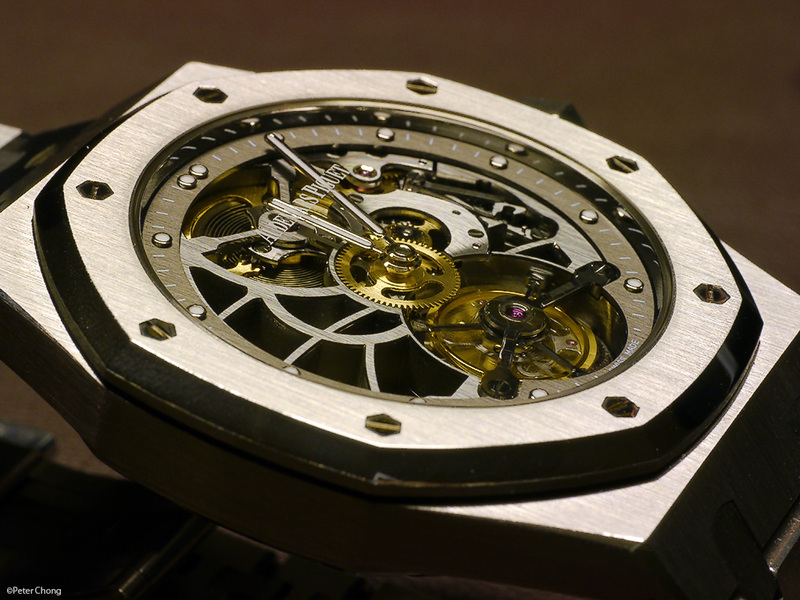 AP was one of the first to put this virtuoso complication into a stainless steel watch. Daring in those days. And always intriguing to me. I have mentioned this several times, so regular readers...please pardon my repetition, but I love the juxtaposition of the seemingly fragile tourbillon within a tough, sporty case like the Royal Oak. I am not sure why. 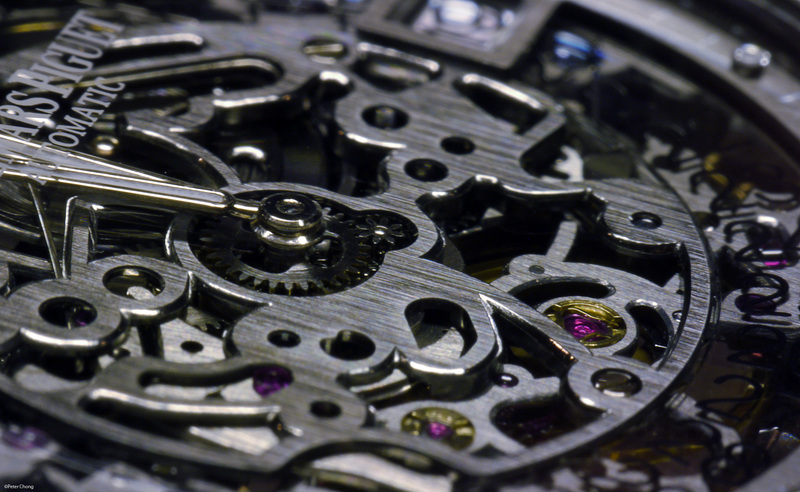 I guess there must be people who are fascinated by the skeletonized movement. Certainly not me. The legibility of the dial is hugely compromised with skeletonizing any movement. I think a bold move for AP...seemingly to play down on the endless re-issues of the humongous RO Offshore series in little limited editions which only an expert can tell the difference from each other. The re-issued RO, especially the non-skeletonized versions are quite something to these tired and jaded eyes. Couldn't agree with you more Peter. The Royal Oak line is a classic through and through and just made a little more beautiful with the updated line in 2012. 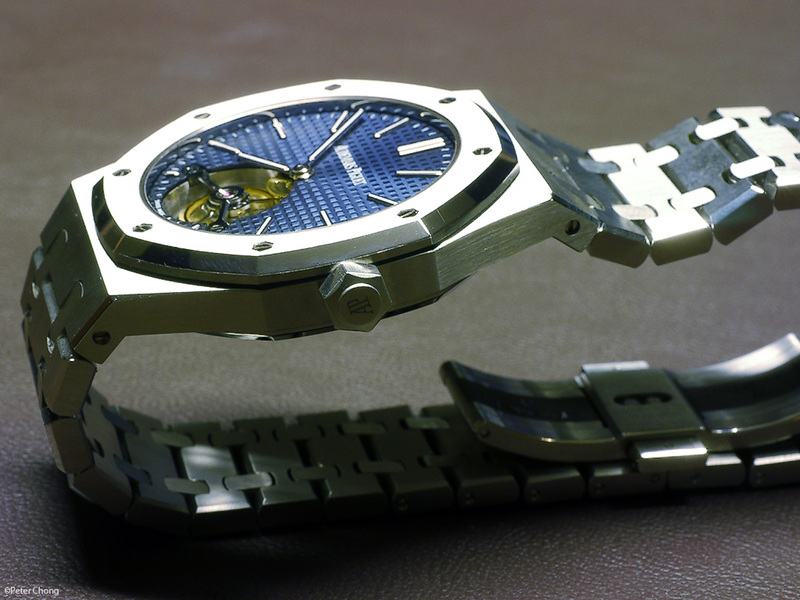 I will reserve my comments on the ROOs but still, congrats to AP and the Royal Oak range!